Our facility is bright and roomy, we provide a safe clean environment that provides a comfortable home-like atmosphere with a variety of activities including a stimulating outdoor play area with a garden and sandbox. It is our philosophy that early childhood should be a time of fun, warmth, security, exploring, and discovery. It is also a critical time for child to learn about respect, obedience, sharing, trusting, all the values that are endorsed in the Bible. When these values ingrained in child’s heart they will produce a good citizen in future. The center’s purpose is to provide an atmosphere that encourages social, emotional, physical and intellectual growth and development of the child as whole. 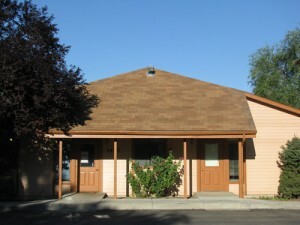 Our facility is licensed by the City of Boise. We receive annual inspections from the Central District Health Department, Fire Marshal, and the City of Boise. All of our teachers are licensed by the city and certified in First Aid and CPR. Read our Parent Handbook for more comprehensive information about our services, policies, and fees.